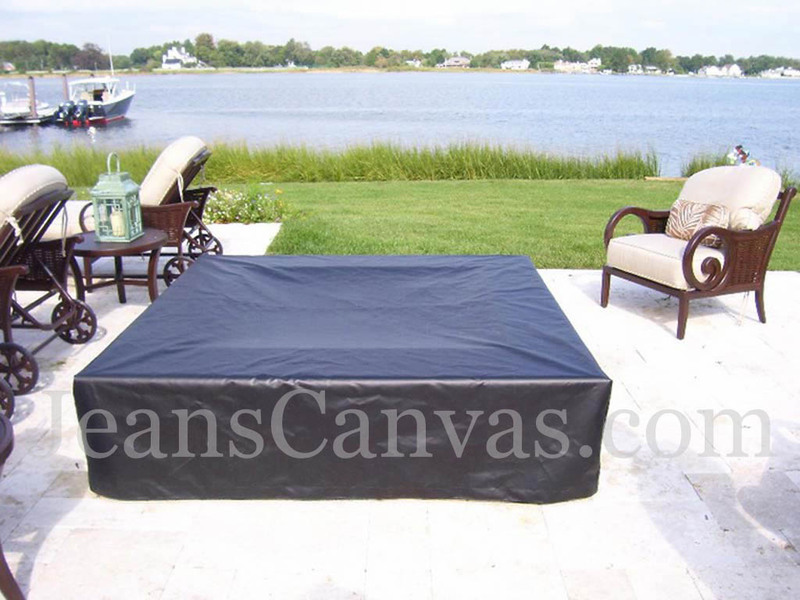 Whether you have a small round firepit, a large square one, or a custom built firepit in a unique shape, Jean’s Canvas Products can fabricate a custom cover for it. 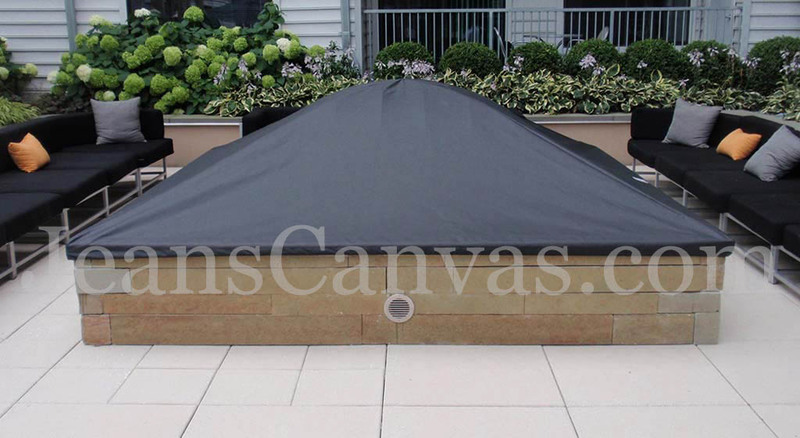 We can design the cover using photos and measurements supplied by you, or we can pattern and install the cover on site for you. Call today for a Free Estimate. This fire pit has been tightly fitted with our heavy weight vinyl. The stress points are reinforced to minimize wear and withstand harsh wind and precipitation. This cover is made from Top Gun (acrylic coated polyester). 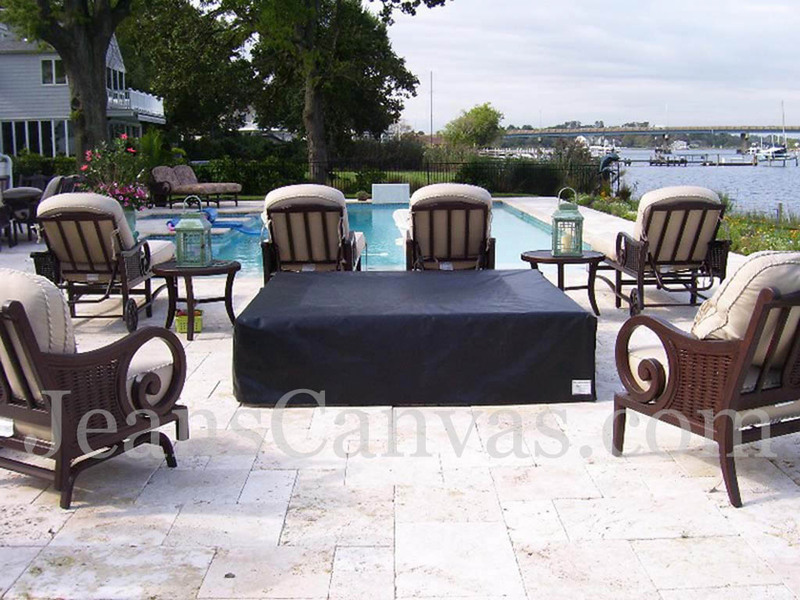 It is made to fit tightly to keep out the weather and to eliminate abrasion at the edges.